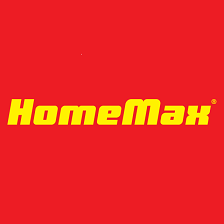 HomeMax is the new name of Baumax. The largest chain for building materials and home furnishings changed its name. The chain which changed its Austrian owner at the end of the last year is changing also its concept and by positioning itself as a place for comprehensive solutions and finished products. The new owner promises to keep the traditionally strong sectors "Garden" and "Construction" but he enters some additional services which are different than the offered in the other building hypermarkets. According to the manager - Mr. Zahari Zanev "The global trends are changing and globally all chains are trying to follow the model imposed by IKEA - offering a comprehensive solution for the home, while the customers retain their freedom to combine the various products and materials by themself. We want to preserve the good practices imposed by our predecessors but we will take into account the Bulgarian needs and the particularities of our market. " The chain is a preferred supplier of building materials for DIY and it is a permanent partner of the major construction companies in the country. It offers more than 40,000 items many of which are from their own brand. "The Austrian parent chain provides us with products and materials of the highest quality with their own brands, which gives us an advantage for an optimal value for money, because no brand-name premium is paid and of course we will keep and develop these products. But at the same time our goal is to introduce the best products from local producers." says the Manager of the chain. HomeMax will welcome the spring with 300,000 flowers and a new look which strongly endorses the slogan "One home, many ideas".